It’s September, Harry Kane is back to scoring goals, and Tim Sherwood has materialised out of the woodwork to offer his opinion. Kane has scored six goals in his last six games for club and country, putting to bed his annual August goal drought. It was particularly fitting that as the England international bids to finally be recognised as world-class this season, one of his finest performances of the campaign so far came in the Champions League against Borussia Dortmund. All that’s really left for the 24-year-old to achieve is to start winning major honours, something he is yet to do in north London. And former boss Tim Sherwood has insisted the striker will consider leaving the Lilywhites if they don’t pick up silverware this season. “There’s only so much loyalty someone can show. Tottenham have been a great club for Harry and he’s been paying them back tenfold. He’s been outstanding over the last couple of seasons, he grew up a stone’s throw from the ground and the kid loves the club. “The only way they can keep him is to win something this year. That something might not be the Carabao Cup, it might have to be the league or the FA Cup. “But that only lasts a certain amount of time. Then he starts seeing the pound signs and sees the likes of Barcelona, Real Madrid or – dare I say it – Manchester United – and then your head gets turned. “What they don’t want to do is get Kane into a position where he’s got no choice but to kick on, simply because that’s what he wants to do. “We’ve seen him do interviews where he says he wants to play in the Champions League regularly and be winning it, and win the Ballon d’Or. He’s a very ambitious player. “If Daniel Levy isn’t going to throw that kind of money their way… and I don’t want it to seem to be all about money but it does massively help. “When you’ve got someone like Kane who has two Golden Boots in three years and he’s still £120,000 to £150,000 behind somebody, that just doesn’t add up. It doesn’t make sense and if I was in his shoes, then I would be loyal to Spurs right now, but you cannot tell me that people are not in his ear. Kane has won two Golden Boots in consecutive seasons, but it’s his loyalty that makes the academy graduate so popular with the fans. The thing is, nobody actually respects a word that comes out of Tim Sherwood's big, stupid mouth. 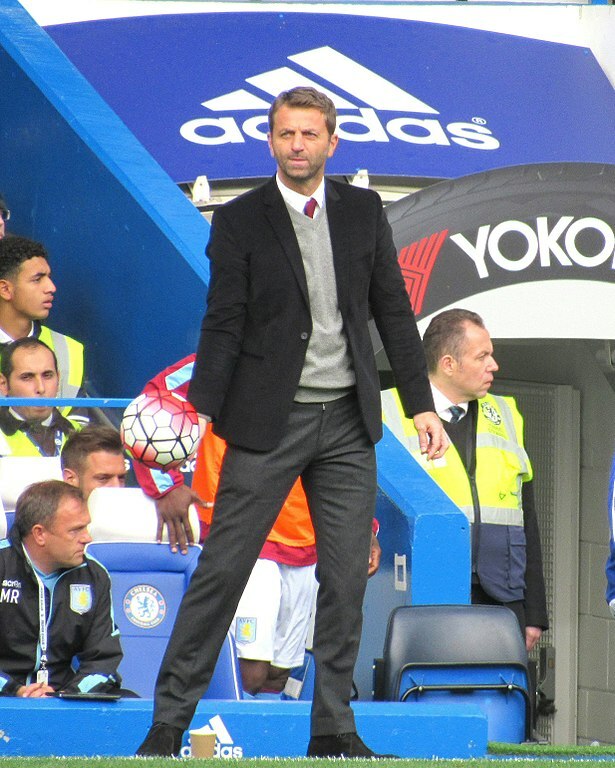 Sherwood took charge of Spurs for an interim period in between the reigns of Andre Villas-Boas and Mauricio Pochettino, before going on to manage Aston Villa. Tim Sherwood was sacked by Tottenham three and a half years ago, and supporters were relieved to see that happen to the kind of airhead he appeared to be. He’s one of several former football names who seem to crop up commenting about Spurs and Spurs players, yet they lack the respect of supporters for what seem so often to be comments designed for their sniping- and undermining-value.